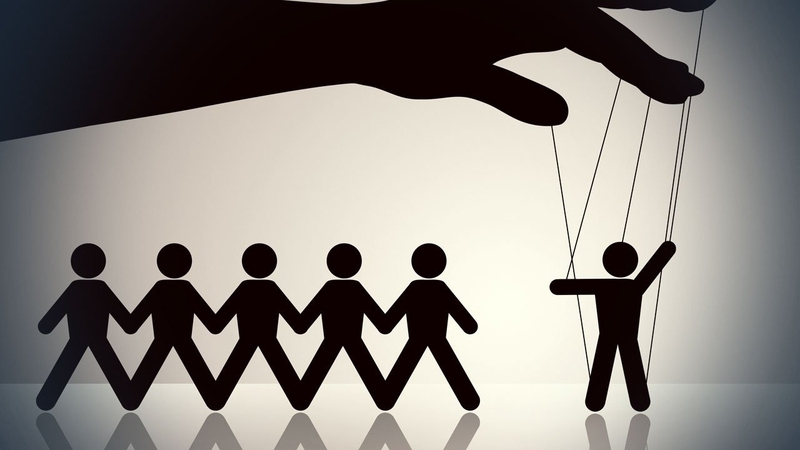 Have you ever encountered a manipulator? None of us wants to be a victim of this kind of people, but what do we really mean with manipulation? Manipulation is the act of changing someone else’s mind or actions without directly telling them or asking for their consent, but instead by threatening and telling lies. A person who does this is a manipulator who deceives another person just to get what he or she wants. Nobody wants to hang out with this type of person, but have you ever thought that sometimes, unconsciously, you also behave like this? As early as it is, you need to stop being manipulative, and this article will help you out. Some people think that perfectionism is the key to have a happy and organized life. An example of this behavior is not wanting to host a party because you think that your home is full of flaws to have some visitors come by. Another is checking a report so many times to make sure that there are no typographical errors. Being a perfectionist is an imperfection, so control your perfectionism to stop being manipulative. Perfectionism only gives you limitations. Ditch it, and you will be carefree, relaxed and at ease, and others around will feel more comfortable to hang out with you. The main reason why people become controlling and manipulative when it comes to their relationships, family and friends is because they have poor self-esteem. They think that they are unlovable that’s why they feel the need to always be on the look-out. That's because they think their loved ones might leave them if they let them do their own thing. This is a sign of lacking self-esteem. So, if you want to stop being manipulative, then work on your confidence to have more faith in yourself, your partner and your relationship. Another reason why a person becomes overly controlling is because of anxiety. You might have a lot of negative thoughts running through your head. These thoughts rob you with happiness. It is normal to be afraid of the unknown at times but you don’t have to dwell on it and should stop thinking about the worst case scenario. Meditation and yoga can help relax your mind and reduce anxiety. Always bear in mind that anxiety is like a rocking chair; it makes you tired from moving and thinking but it does not take you anywhere. Another great tip on how to stop being manipulative is by removing the urge to be always right. People will think you are actually flawed when you act like an “all knowing” person. This will only distance yourself from others, because other people can relate with you only when you show them you are also human and not perfect. It is alright to not know the answers and let others lead for once or twice. It is true that some people may take advantage of your weaknesses, but you don’t have to stress yourself out with them. Be human, relax and become friends with others. You need to accept the fact that you don’t know everything under the sun and there're always people who are more experienced and smarter than you when it comes to a certain area. You just have to be open-minded and let others finish what they are saying before you give your unsolicited opinion. You’ll be amazed about how much you can learn from others only if you know how to listen effectively. Some people become manipulative because they are insecure and jealous. They feel that if they don’t check on their partners 24/7, they might look for another girl or guy and cheat with them. In this case, the best method of how to stop being manipulative is to overcome jealousy and become secured with yourself. Learn to love yourself, be confident that other people love you just the way you are and believe that no one else can get between you two. Having the positive attitude and mindset will do lots of good things for you. One way to make yourself less controlling and manipulative is being flexible or spontaneous. For example, you have a scheduled date with your boyfriend but something comes up and he won’t be able to make it; what are you going to do? Will you let it pass or will you overreact and argue with your boyfriend because you feel that he is not prioritizing you? Learn to accept unexpected things that come your way. Know that rescheduling your date will not ruin your relationship but overreacting and making a big deal out of it will. All of us need some so-called “me time”. Regardless of how much you want to spend time with a person, you should know when to draw the line. Do not force other people to spend all their time with you because it's really manipulative and annoying. Let others have their own personal space which is rightfully theirs. Communicating effectively, including being able to express what you really mean and knowing how to listen to the other person, is another tip on how to stop being manipulative. You need to lay down all your cards and try to compromise with the other person. Learn to meet things halfway with others, instead of you demanding certain things which just ends up hurting other people’s feelings. Acting on impulse is almost the same as overreacting. For example, you do not know that your friends are preparing a surprise birthday party for you but you think that they've forgotten it’s your birthday. Instead of just letting it pass, you act on impulse asking everyone how they could forget it when you’ve been friends since elementary school. This not only hurt the surprise but also their emotions. What's worse, this will give them the impression that you are demanding, impatient and mean, and that you are an annoying attention seeker.